If you’re shopping for accent seating, it’s hard to escape what remain two of the trendiest styles in the category right now: mid-century and French bistro. These two very different styles endure because they’re timeless without being too traditional, interesting without being complicated. They also happen to photograph very well—a plus if you’re documenting your project via Instagram. While we still love both styles, it’s hard to argue against their ubiquity. That’s why we’ve been gravitating towards seating that features a spindle or spool frame (think: Jenny Lind–style cribs and beds). This type of frame has a clean-lined feel, but with a little extra interest that comes from its dimensional details. In this kitchen above by SD Custom Homes, spindle-style counter stools feature round carved details. These interesting details draw the eye, especially since counter stools usually face away from the living area in an open space (giving you an opportunity to make a statement). The carved details of a spindle chair get a bolder look when the frame is painted black. 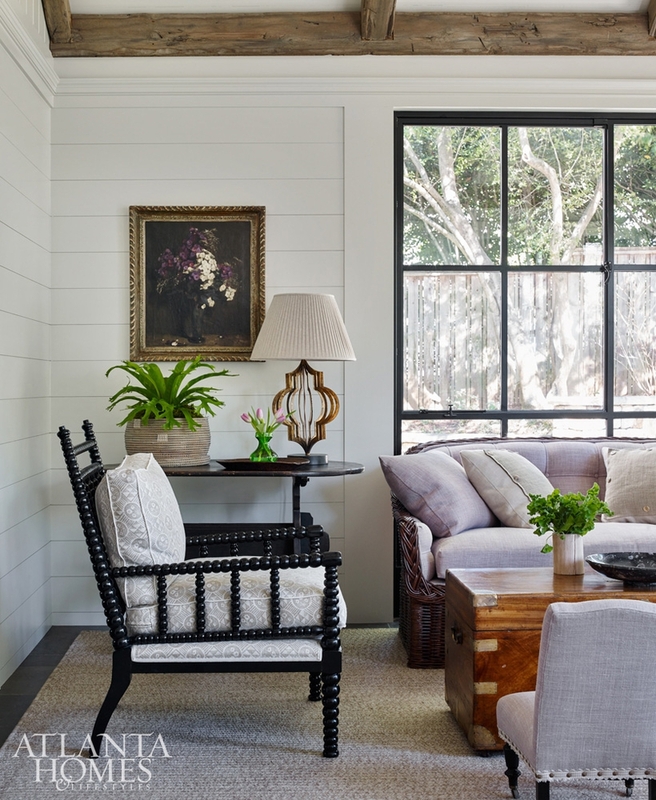 This ebony chair echoes the black frame of the picture window in a remodeled cottage by Jackye Lanham featured in Atlanta Homes & Lifestyles. Spindle and spool chairs are often used by designers when bridging the gap between modern and vintage styles. 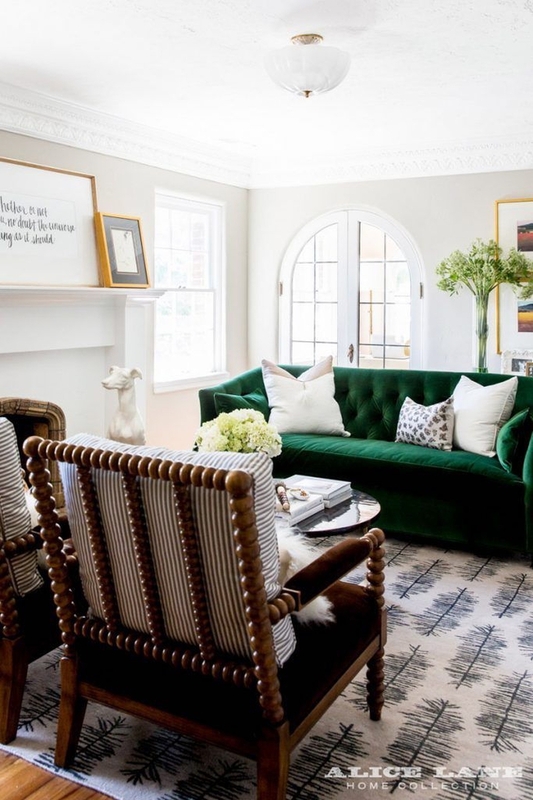 Such is the case in this living room by Alice Lane, which is in an updated historic home. Wanting to achieve a more "formal" feel to complement a living room with a baby grand piano, Studio McGee used spindle chairs in a similar way. 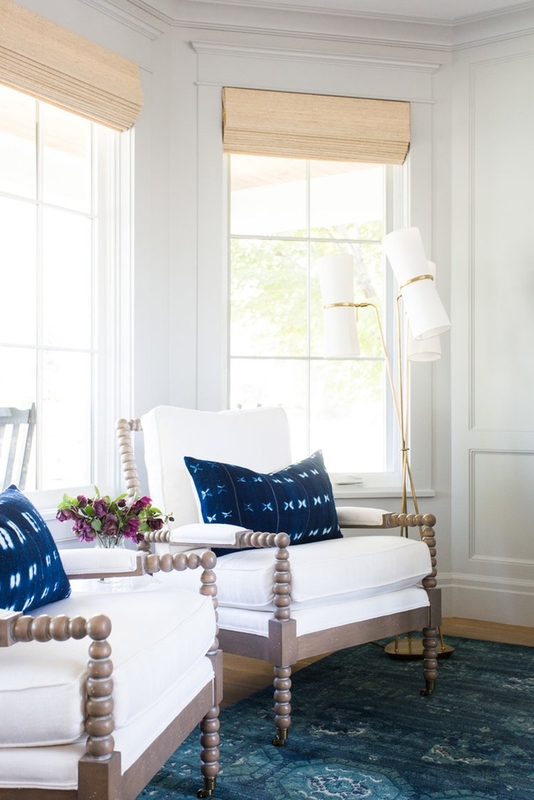 The white upholstery of the chairs gives them a sophisticated look, but the frame's subtle aged finish, paired with bold pillows, keeps them from seeming too stuffy.